This story raises some obvious questions. The first being, if she knew that her mother Dr. Marie Bulgin was testifying that there was no evidence that domestic sheep diseases were transmitted to bighorn sheep in the wild before Federal judges, the Legislature and the media, why didn’t Jeanne Bulgin tell her mother about the study? Also, how and when was Dr. Marie Bulgin made aware of the study? This issue isn’t so much about Dr. Marie Bulgin as it is about bighorn sheep. 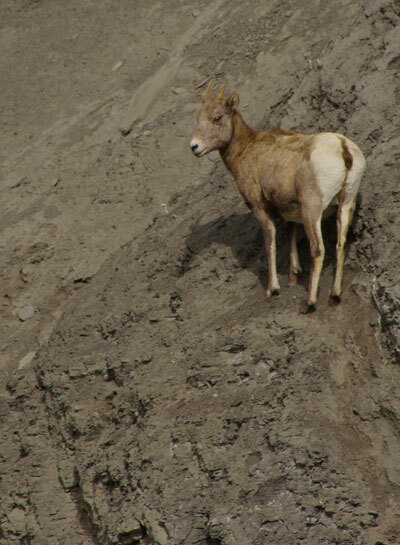 Bighorn sheep are dying because of exposure to domestic sheep. There is no practical way to keep domestic sheep and bighorn sheep separated when domestic sheep inhabit occupied territory of bighorn sheep. The two species cannot coexist. The public lands allotments need to be closed to domestic sheep grazing to prevent contact. The US Forest Service appears to be ready to do just that but there are three domestic sheep allotments on BLM land in occupied bighorn habitat. The BLM is refusing to close these allotments even though recent events have made it clear that separation cannot be maintained in occupied habitat. Does anyone have questions to ask Jeanne Bulgin as it appears that she is commenting on the linked article? 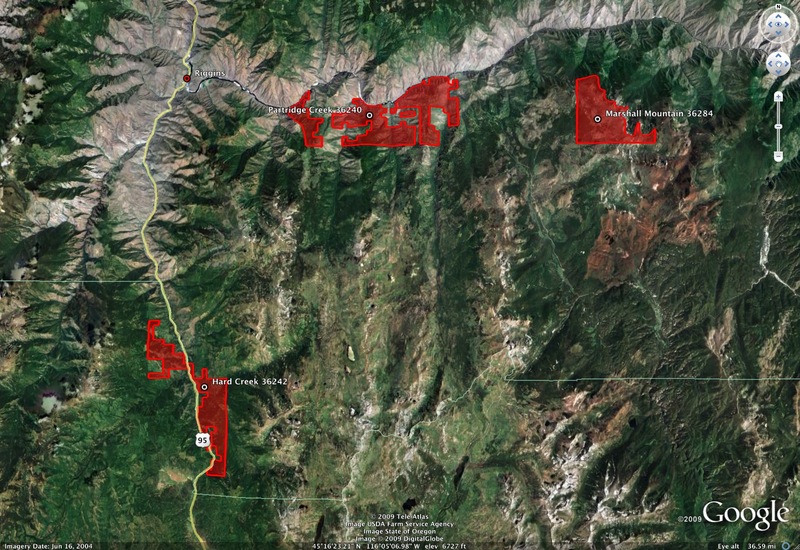 BLM Salmon River Sheep Allotments. Click for larger view. The more familiar one becomes with how a tiny elite of well-connected public lands welfare ranchers in Idaho and soem other areas of the West, the more one sees how coddled and indulged they are by state and federal agencies. Ranchers are cushioned from ever facing reality or accountability for their damaging actions to the BLM and Forest lands and the PEOPLE’S wildlife -by political interference and the myth-spinning and scientific nonsense that comes out of Land Grant College Range Science/Myth Departments. The U of I Range Department that spins rancher-supporting lies and myths that fly in the face of common sense – like being trampled by a thousand pound cow does not harm are plants or their habitat. Another example isa laughable U of I Stubble Height Report of several years ago that was done by range hacks associated with the U of I. The purpose of the report was to undercut BLM applying standards of livestock use on streambanks! On streambanks for goodness sake – a very fragile part of public lands, as any five year old could understand. BLM was placing stubble height requirements on grazing permits to bring accountability. That did not set well with cosseted Owyhee and other ranchers, so they had the U of I trump up nonsense – that the Bush BLM Managers then embraced – so cattle could continue to ravage streams on the PEOPLE’S land. So the actions of Marie Bulgin and the Caine cover-up and lying about disease are perfectly understandable to me in light of the culture of U of I lies for ranching that occur at every level. Just a small step for them to lie about disease transmission. The entire “range”culture is one of lying for livestock and crying to the ignorant (or just plain evil like Larry Craig) Idaho politicians if anyone challenges you in your lies. JUST like happened with bighorns and Otter and then this year the Legislature. Time to shine the light of day on the whole sick mess – and end it. But will it happen? I believe some buddy of Otter’s and Symms just got hired as University head – for a small fortune at a tiem of economic woes. I’m betting no real investigation will happen. I am betting he U of I refuses to change – it is mired in the 19th century Frontier and Manifest Destiny mentality – where the West has endless “resources” – wildllfe, water, “forage”, logs, minerals – that can be squandered and destroyed – and somehow there will always be more. Problem is- in so many ways – water, wildlife including species like sage-grouse and pygmy rabbit – we are now hitting a wall. The whole landscape they depend on is about to collapse. This is due in large part to livestock grazing disturbance destroying habitats, spreading cheatgrass, etc. And this destruction is being aided and abetted by the U of I lies for livestock.